There is something magical about turn based games. 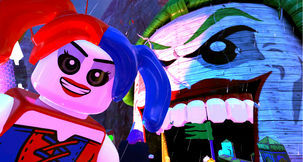 Their lazy pace and detached strategy layer are especially suited to long play sessions, creating that mythical “one more turn” feeling that can keep players engaged for hours. 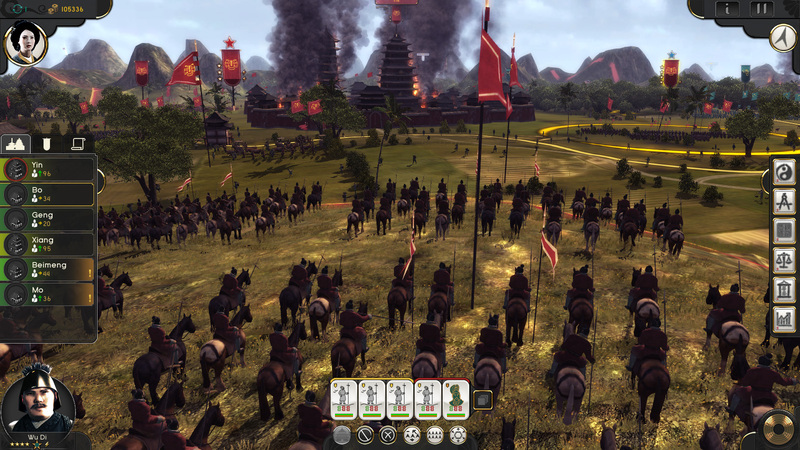 Few games do that as well as Civilization, and luckily, Oriental Empires was clearly inspired by Sid Meier’s classic 4X franchise. 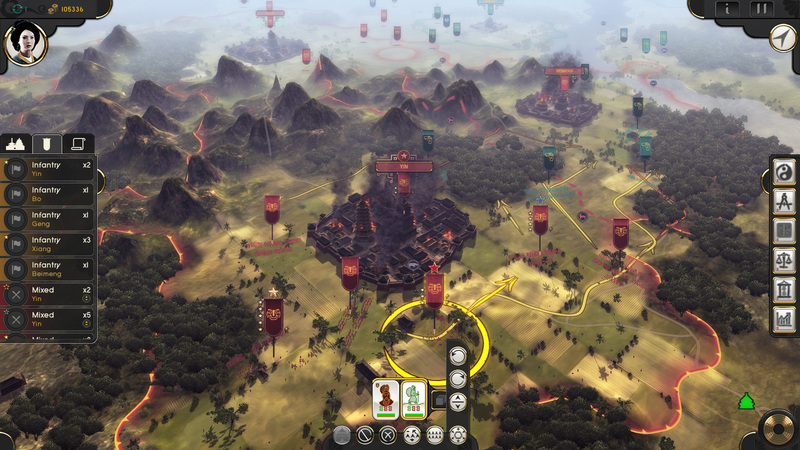 Set in Ancient China at the start of the second millennium BC, Shining Pixel Studios’ first title is a an ambitious strategy game. Taking place in a huge map depicting all of China and Mongolia, Oriental Empires allows players to lead a small tribe from humble beginnings centuries before Christ all the way to a massive standing empire long after gunpowder was invented. That faction can be one out of dozens of historical dynasties, ranging from small tribes nearly forgotten by history to families that became empires – each faction possess unique bonuses, but they all start in the same foot with a single city. 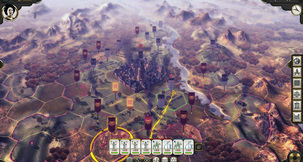 Upon picking a group and choosing one of two settings – the Grand Campaign or The Warring States – you set about expanding your tiny town into a huge sprawling empire that takes over the whole map. 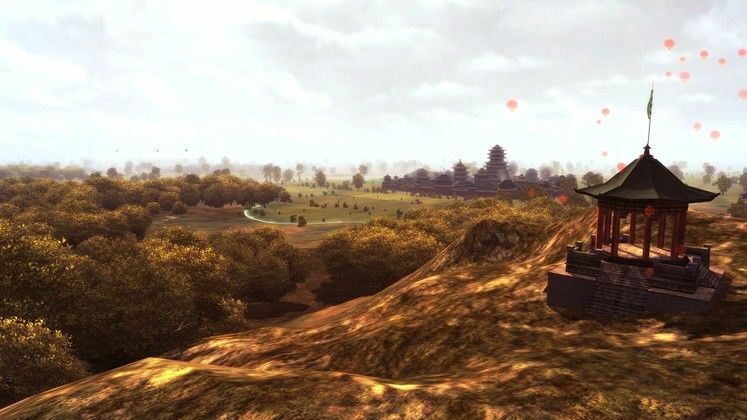 The main map is an interesting place, full of mountains, canyons, and rivers extending across the endless green fields and hills of Asia. 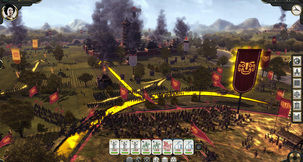 They’re rendered in a realistic art style reminiscent of Total War, yet crisscrossed by hexagons similar to Civilization – however, they are not as perfectly aligned with geographical features as Firaxis’ franchise, making it considerably harder to read the map at a glance in order to identify chokepoints and tactical terrain. Aside from mountains, I often had to examine each tile in order to gauge if my troops could move through it or not. That less than ideal accessibility is widespread in Oriental Empires for the first few hours – from city management to troop movement, from event encounters to battles, everything requires a few more clicks than it would be expected. Moving troops, for example, requires you to right click on a tile to move them, but to change their facing in said tile, you need to cycle through a button in the toolbar. It is unintuitive and messy, requiring half a dozen of clicks in what should be done by dragging and dropping an arrow. Similarly, city management involves accessing three different panels: recruitment, building, and an overview. 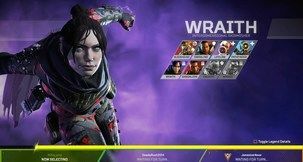 Each of them have floating toolboxes that can be expanded for stats that should be always visible in the first place, further complicating a menu that should be extremely simple. However, the building and recruitment tabs work, and effectively separate the two types of production available in a city. 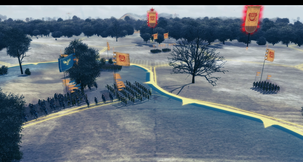 Oriental Empires contains a large array of buildings and troops to be built and recruited, which are usually unlocked by research. The technology side is one area where the game stands shoulders above its brethren, featuring four separate trees that can all be researched at the same time. This parallel development provides an infinitely more satisfying progress path than other 4X titles, and helps nullify the nonsense issue of a civilization possessing advanced metallurgical alloys yet unaware of the benefits of a granary. Less ideal is the combat system. 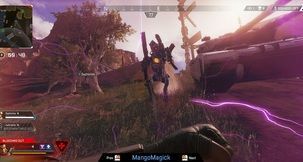 Turns in the game take place in a WEGO turn-based system, where actions are ordered beforehand yet executed at the same time. Thanks to the robotic precision of the AI and the relatively long timespan of turns, battles tend to be thick-headed affairs – troops blindly marched where ordered and attack any enemies they run across, yet fail to adapt mid-battle in any way whatsoever. 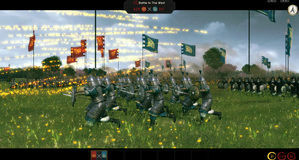 Safe allies will fail to provide flanking support to an endangered battalion, archers will keep marching into melee range instead of autonomously stopping and firing from afar, and routing troops flee the field like peasants – without the player being able to intervene in a battle and direct troops when things go awry, combat tends to be especially infuriating. Technically, the game is very well balanced. Graphics are far from amazing, but are more than serviceable (aside from the terrain’s low resolution, which at times made reading the map a chore). Music is especially good, with swooping wind instruments and gentle string chords reminescent of the soundtrack of the excellent 2009’s Chinese movie Shaolin. Weirdly, the main menu theme deeply reminded me of an oriental version of Braveheart’s central leitmotif. In the end, Oriental Empires is a very capable game. 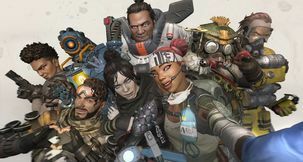 Given the size of its scope and the myriad of ways to get an expansive strategy game wrong, Shining Pixel Studios did a fantastic job. If you like Civilizations and/or Total War and always wanted a strategy title stepped in 3000 years of Chinese warfare, look no further than Oriental Empires. Attacking a recently settled city near my borders and settling for peace immediately afterwards, instead of being embroiled in an eternal war against a drastically inferior enemy due to imbecilic AI diplomacy.